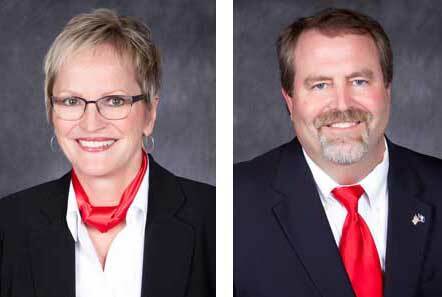 FMC Corp. recently named Maureen Thompson as commercial director and Tom Wharton as national sales manager for North America Professional Solutions, which comprises its Turf & Ornamental and Structural Pest Solutions business segments. Previously, Thompson was business manager for Turf and Ornamental Solutions. She joined FMC in 1995 and has held positions in sales, account and sales management in both the Turf & Ornamental and the Structural Pest business groups. Prior to that, she held positions in sales and account management for seed, agricultural manufacturing and distribution businesses. Thompson holds a bachelor’s of science degree in agriculture from the University of Illinois. She resides in Peachtree City, Ga.
As the national sales manager, Wharton will play a key leadership role in expanding the Structural Pest Control and Turf & Ornamental markets, as well as advancing FMC’s mission to provide turf and pest management solutions to customers. Most recently, Wharton was the regional sales manager and key account manager for FMC’s Professional Solutions group. He joined FMC in 2005 as a territory business manager. Wharton holds a bachelor’s degree in agronomy and a master’s degree in weed science and entomology from Mississippi State University.